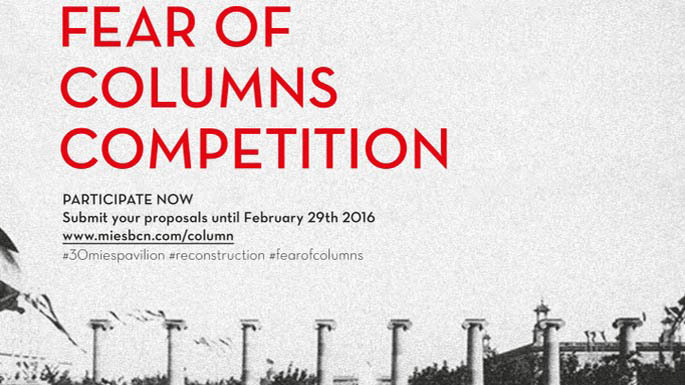 Competition for the temporary recreation of 8 columns and 2 pedestals preceding the Barcelona Pavilion. 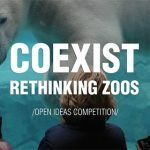 The purpose of the competition is for citizens to participate in the reflection on the temporary recreation (maximum five months) of an historical architectural feature of the city of Barcelona that was built for the 1929 International Exhibition. On 2 June 1986, 100 years after Ludwig Mies van der Rohe’s birth, the reconstructed Pavilion built for the 1929 International Exhibition was inaugurated. Thirty years later, the Pavilion continues to be the object of study and starting point for activities related to the history, impact and architecture of the Modern Movement and, indeed, of contemporary architecture. The Foundation would like to showcase the city’s history for all people who are curious about the iconic Pavilion, in light of the anniversary. It is hence making a call for an open international competition to temporarily recreate the columns that presided over the German Pavilion in 1929. The eight columns and two side pedestals have been considered important elements for fully understanding the Pavilion, the shadow of which Ludwig Mies van der Rohe himself rubbed out in one of the photographs of the work. The Mies van der Rohe Foundation was created in 1983 by the Barcelona City Council, with the initial aim of executing the reconstruction of the German Pavilion designed by Ludwig Mies van der Rohe (1886-1969) for the 1929 Barcelona International Exhibition. In addition to handling the conservation and knowledge of the Mies van der Rohe Pavilion, the Foundation fosters debate, dissemination and awareness raising on topics related to architecture and contemporary city planning. It also promotes the study of the oeuvre of Ludwig Mies van der Rohe and the Modern Movement. In accordance with its purposes, the Foundation carries out different activities such as awards, organising congresses, conferences, exhibitions, workshops and interventions. 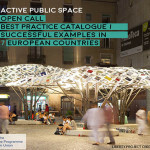 Noteworthy among these programmes is the organisation, jointly with the European Commission, of the European Union Prize for Contemporary Architecture – Mies van der Rohe Award, the most prestigious architectural prize in Europe. The four Ionic columns on Avinguda Maria Cristina, the eight also Ionic columns at the entry of the Pavilion of the City of Barcelona, and the eight columns preceding the Mies van der Rohe Pavilion (formerly the German Pavilion) defined the esplanade and meeting space for visitors to the event. Before the inauguration of the Exhibition, the four columns were demolished and the Magic Fountain was built, while the other 16 columns came down at a later time. The purpose is therefore to temporarily recreate the eight columns and the two pedestals, as items that represent a significant weight for the overall Pavilion structure. Proposals must reflect the connection between the Pavilion and the eight columns, beyond their somewhat debatable heritage value. People may participate, individually or in groups, who are interested in reflecting on this historic architectural work in the city of Barcelona in the setting of the Ludwig Mies van der Rohe Pavilion. Participants shall be responsible for the intellectual and image property rights of their proposals as a whole or their different parts, being held responsible for any possible claims, waiving the Mies van der Rohe Foundation from any liability by the simple fact of submitting proposals to the competition. A detailed technical description of the proposal must be submitted: Size, materials, anchoring structure, assembly and dismantling plans, recycling proposal and so forth, with a detailed and closed budget that cannot surpass 15,000 euros, including the expenses for materials and assembly/dismantling. The project must include graphic and written information so that the specific lighting and evening visibility solutions can be assessed, if necessary, as well as safety and control systems. The proposal must be presented on two DIN A3 panels (297×420 mm) on a rigid medium. The designs must be original and unpublished and any technique employable for their execution. 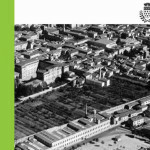 The proposals must be submitted on a physical format, packaged and submitted to the offices of the Mies van der Rohe Foundation: Carrer Provença 318, pral. 2B, 08037, Barcelona. Any proposals submitted after the deadline will be excluded from the competition. The proposals must be executable with a maximum budget of € 15,000 (including 21% VAT) and be able to be constructed within two months. The Winner will be asked to submit a budget that ensures the viability of the project under the conditions mentioned herein. All information submitted must be in Catalan, English or Spanish. The Mies van der Rohe Foundation reserves the right to adapt the winning original design in any format and medium if it does not adapt to the determined specifications. The authorship of the design will be acknowledged, and it will appear on the execution of the proposal and on all communications made by the Mies van der Rohe Foundation. The jury will be comprised of professionals from different fields. It will meet once to review and look at the proposals received. The jury is free to reject any proposals that do not meet the conditions required, or declare the award null and void if the designs presented to not have a suitable level. In the event that after selecting the winning proposal, it is verified that it or the data on its author do not comply with any of the competition rules, the jury may decide to eliminate said design, with the award hence declared null and void. The result of the jury’s deliberations and the selection of the winner will be published on the website of the Mies van der Rohe Foundation (www.miesbcn.com) on 10 March 2016. Pursuant to the terms of Organic Law 15/1999 of 13 December on Personal Data Protection, participation in the present tender involves the inclusion of participants’ data in a file managed by this organisation and registered in the General Data Protection Registry, whose aim is to manage the call for awards. These data shall be used exclusively by the Foundation, for the purposes of the call for competition, always guaranteeing maintenance of the due confidentiality condition with regard to these data. Participants guarantee that the personal data provided to the Foundation for the present call are truthful, and they are responsible for reporting any changes to them to the Foundation. Participants have acknowledged rights and may exercise these rights to access, cancel, rectify and oppose, by writing to the Mies van der Rohe Foundation at C/Provença 318, Barcelona. Participation in the call for competition implies that participants authorise the Foundation to be able to use, publish and disseminate the name and image of the prize winner in its informational and publicity communications, and in written physical and digital media. The Mies van der Rohe Foundation may make commercial use of the materials received (reproduction on commercial products) from participants. Participation in the competition involves accepting the rules contained in the present call and agreement with the jury’s decisions. An appeal for reconsideration or the appeal deemed suitable may be filed against these rules and the administrative rulings that are adapted in execution of the rules in the period of one month, pursuant to the terms of articles 116 and 117 of Law 30/1992 of 26 November, on the Legal System of Public Administrations and Common Administrative Proceedings, where this period starts on the day following the notification date and will be submitted to the Foundation director. An administrative-contentious appeal may also be filed within a two-month period, starting on the day following notification of the decision, pursuant to the terms of articles 9, 45 and 46 of Law 29/1998 of 13 July, which regulates contentious administrative jurisdiction (Spanish Law). Claims will be made directly to the Mies van der Rohe Foundation by any means accepted by law. If not submitted to the central offices, the filing of the appeal or claim must be reported within the period set out above either by fax (0034) 93 426 37 72 or by sending an email to secmies@miesbcn.com.